In what appears to be a twisted effort to silence widespread allegations of corruption, Prime Minister Erdogan has blocked Twitter but so ineffectively that the number of tweets being sent in Turkey has remained unaffected. "We'll eradicate Twitter," Erdogan said. "I don't care what the international community says. Everyone will witness the power of the Turkish Republic." 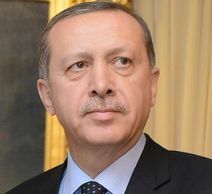 Erdogan took the surprising move following the issuance of a court order. He claimed Twitter was now disabled in Turkey. The attack on Twitter follows the posting and widespread sharing of voice recordings and documents on Twitter that appear to provide evidence of widespread corruption involving Erdogan, his family and political allies. The leaks came from two anonymous sources. In one recording, Erdogan is heard warning his son to remove money from his and other houses, following the news that police were raiding premises as part of a wide-ranging corruption investigation. Erdogan has claimed the recording is a fake. Turkish media is hinting at more highly-damaging leaks to come, including a tape said to indicate Erdogan's involvement in the 2009 death of politician Muhsin Yazicioglu, and allegations of sexual scandals. After Twitter was apparently disabled, the hashtag #TwitterisblockedinTurkey went ballistic, Twitter, however, remains accessible via the site's SMS service that allows Turks to text in a tweet. Pundits said Erdogan's showdown with Twitter has been long coming. In mid-2013, thousands of protests erupted across Turkey ostensibly in opposition to a proposed urban development of Istanbul's Taksim Gezi Park. But many say that discontent was more rooted in the government's shift away from secularism (Erdogan is Muslim) and its recent crackdown on freedom of press and expression.